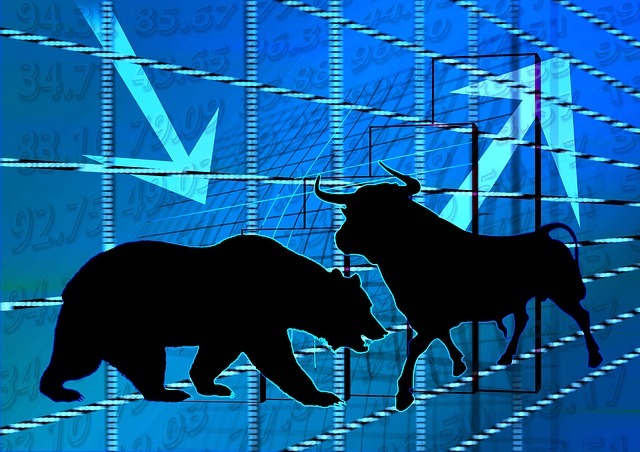 This post will help you discover trending stocks for swing trading (1 day to 2 weeks). This post is suitable for both day traders and positional traders. Very few day or positional traders analyze volumes in real time or at end of day, but it can be a very rewarding strategy. So, before we begin, you should fully understand the concept of Open Interest (OI). Before we begin, know that this strategy is to be applied to Futures volumes and not to the Options volumes. A good and free source for getting OI data is MoneyControl. The OI change percentage is 22% and on 29-3-19, a total of 57,20,000 shares were bought (because price rose) and added to the total outstanding position of 3,15,60,000. If you have read the OI article above, you would be by now realizing that IDBI outlook is bullish. The volume too has jumped 184% t 2.66 crores, implying that buyers were chasing the stock. So in Step 1 we have deduced that bulls added 57.2 lakh shares in IDBI adding a whole 22.14% to OI (or outstanding positions). 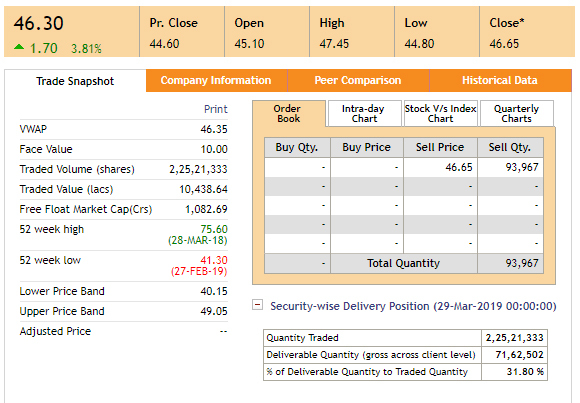 On 29-3-19, 2.25 crore shares were traded in the spot market, and 71,62,502 shares were deliverable. In FnO Market: 2.66 crore shares were traded and of these 57.2 lakh shares were taken home. The total position outstanding on 29-3-19 EOD in the Futures market is about 3.16 crore shares. In Cash Market: 2.25 crore shares were traded, and 71.62 lakh shares were deliverable. There was a rise in price in both markets and a total of 1.288 crore (57.2 + 71.62 lakh shares) were added. The price rose 3%. From this we can conclude that IDBI Bank is in bull territory. 1. Operators may be selling in the FnO market but buying small quantities in the cash market just to keep investor interest going. Or, operators may buy a big chunk in the cash market to drive up prices and when the herd starts buying, they start selling in the FnO market. 2. Operators may be buying in the FnO market but selling small quantities in the cash market just to keep bears active. Or, operators may sell a big chunk in the cash market to drive up prices and when the herd starts hammering, they start buying in the FnO market. This is why correlating volumes in the both cash and FnO market makes infinite sense for serious traders. Day traders should analyze both in real time and at EOD, while positional traders should check data at EOD. After getting the hang of what the operators are up to in the cash and futures market, there is one final check left. 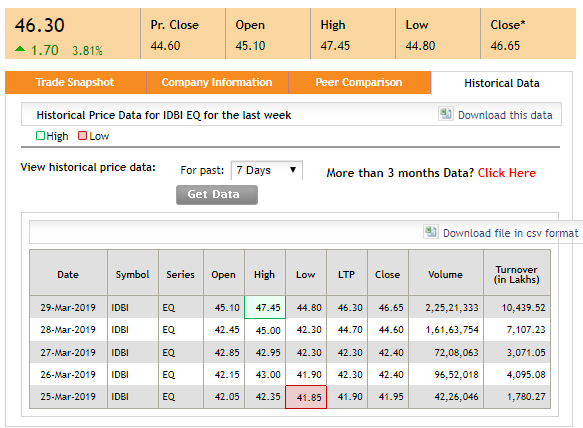 IDBI Bank’s volumes have started jumping up exponentially from 28 and 29 march 2019 on. Correlating this with the high OI data it implies that something is up in this stock and that it can be considered for a swing trade. However, before jumping into any trade, apply this trade setup in the live market. This is what you need to know about FnO volume analysis. Also, this article can go on and on with different scenarios such as slight changes to OI, volumes and price – positive or negative, but all that will be too much information to digest. Therefore, apply this analysis strategy in a practice exercise and monitor your stock picks in an Excel Sheet. Get comfortable, and then trade. That’s all for now. If this seems tough for you, feel free to ask questions on Twitter and I’ll be happy to help. Be the first to comment on "How to Analyze FnO Volumes and Discover Trending Stocks"